Plus(JPN), 2015F. Victoire Pisa(JPN) x Sarafina(FR) by Refuse To Bend(IRE), broke her maiden impressively at second asking at Chukyo 6R 1400m turf on Dec 16th 2017. Ready to Confess (More Than Ready x Confessional) won the She's All In Stakes yesterday at Remington Park. If they can't get Gold Serenade's maiden broken in winter MSW company at Turfway, send her off to the shed next week. This gal showed great promise early on, but this would be her first race since May 2016. Truly Together is entered to run on December 26, 2017, at GULFSTREAM PARK. Last edited by lurkey mclurker on Wed Dec 27, 2017 5:36 pm, edited 1 time in total. Her next race will be Queen Cup (G3, Tokyo 1600m, 12th Feb 2018). 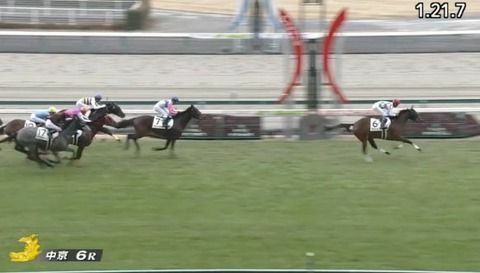 She happened to be 48th winner in the JRA of her sire's 2yos, the new record breaking the previous one by Sunday Silence (47 winners in the JRA). Worldwide, the record is renewed to 49 winners (JRA) plus 4 (abroad), i.e., 53 winners in total as of 24th Dec.
Mr Fujisawa, the trainer of Arusha, officially announced that Obsession, out of Persistently(USA), would be pointed to Yoyoi Sho (G2, 2000m at Nakayama on 4th Feb 2018), a prep for Satsuki Sho (2000 Guineas) with Lemaire on board. This is a rare move for the well-known trainer; he used to skip the prep at Nakayama, going straight to 2000 Guineas (Rey de Oro) or JPN Derby via a prep at Tokyo (Aoba Sho 2400m). Mr Fujisawa publicly talked of his confidence in the colt ('far better than I expected'), and the prep choice suggests trainer's seriousness to have him raced in the triple crown. Having said that, Wagnerian, a grandson of Broad Appeal (USA), will be awaiting him in the race; he is widely regarded as one of the best 2yos' colts, perhaps on a par with Danon Premium (? ), the winner of Asahi Hai (G1) at Hanshin. So the race will be a litmus test for him. 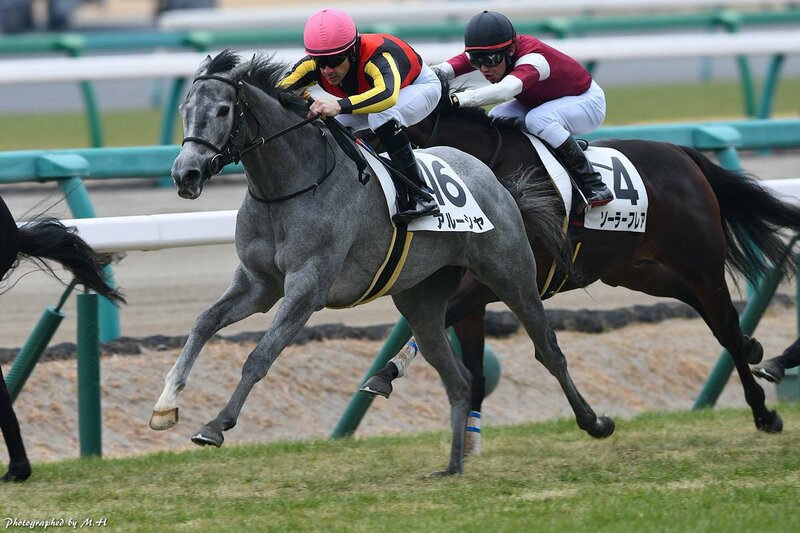 Personally, I prefer the quick mover (see below) to the "tongue-sticking-out" colt at Nakayama 2000m, but choose the latter at Tokyo 2400m. She looked good considering her layoff. Truly Together finished 2nd beaten by 1 1/4 lengths, on December 26, 2017, at GULFSTREAM PARK in Race 10. Browse (Medaglia d'Oro - Daydreaming, by A.P. Indy), the Phipps/Shug entry, finished 4th as the favorite. Turfway has called off tonight's card due to weather only fit for Polar bears and penguins. Ioya Again, b.c., 2, by Fort Prado-Ioya Too, by Lord at War, finished 4th today, beaten 7 1/2 lengths, in his debut at Tampa Bay Downs, a MSW at 1 mile on the turf. Gold Shield runs Saturday in the two-mile H. Allen Jerkens Stakes at Gulfstream. He's a half-brother to Majestic Warrior, Crystal Current and Evolutionist by Medaglia d'Oro. Starine wrote: Gold Shield runs Saturday in the two-mile H. Allen Jerkens Stakes at Gulfstream. He's a half-brother to Majestic Warrior, Crystal Current and Evolutionist by Medaglia d'Oro. A true route race- you don't see too many of those anymore- unless it's jumps. Oh, I know all about this one, lol. Singing Bullet enters his 3-year-old finale off a 3 1/4-length optional-claiming victory over Conquest Windycity going a mile last month at Churchill Downs, for which he earned a career-best 95 Beyer Speed Figure. As for the Pegasus World Cup, Romans said a good performance here Friday could earn Singing Bullet a slot in the event on Jan. 27. Run Time won the two-mile H. Allen Jerkens today at Gulfstream. He's by Gio Ponti and out of Flowerette, a half-sister to grade I winners Flower Alley, Tosen Ra and Spielberg. Ziconic is entered in R2 at Santa Anita on New Year's Day, a 1 1/16-mile MSW on the dirt. Hail, a 2yo half-sister to Close Hatches by Tapit, broke her maiden today at Aqueduct. Bernadiva (Bernadini x Evening Jewel) finished 5th today in the Tropical Park Oaks. Even though she's raced at Gulfstream before I never noticed a daughter of Evening Jewel in any races - really liked her mom).